This post clearly would have been perfect for the 4th of July – I mean, look at all that red, white and blue! But of course I don’t really have my act together, so… better late than never I guess. 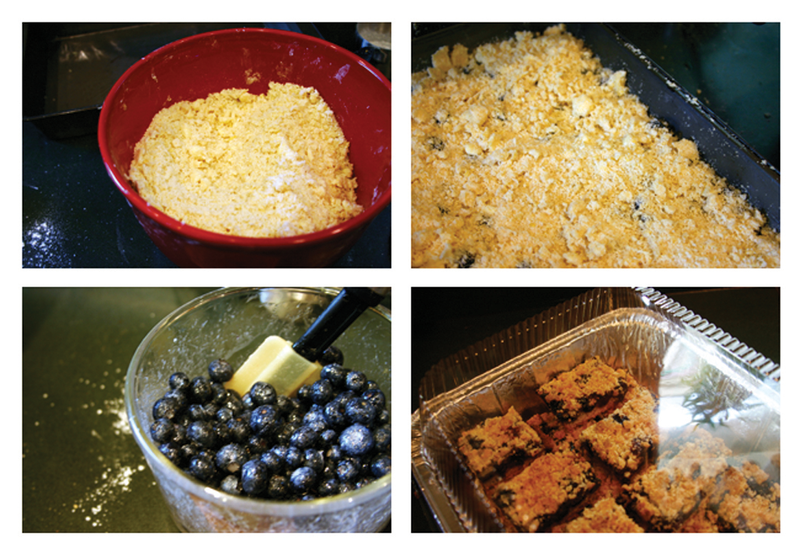 The blueberry bars are from the 4th of July. Every year I visit my friend in Rhode Island for the 4th, because they get REALLY into the holiday there. It’s basically a town-wide, week-long party. Her parents cook really awesome authentic Mexican food for us the whole time we’re there, so I wanted to bring something so I didn’t feel like such a moocher. 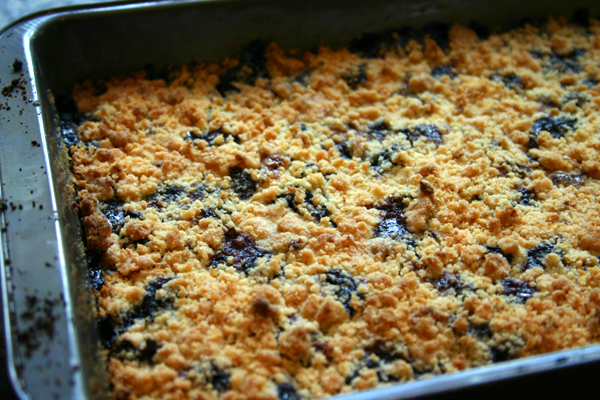 These are probably my favorite thing to bake in the summer, cause it’s blueberry season and they’re sturdy and portable – ready to go cross country partying! Being a vegetarian at a barbecue can be a tricky endeavor on its own. Unfortunately, I have also been sentenced to suffer the plight of a vegetarian who has a serious aversion to mayonnaise, consequently ruling out nearly all picnic fare for me. “Oh, you don’t eat hamburgers? Well we’ve got some pasta salad over here. No? Well why don’t you try the potato salad? Tuna salad? Alright, pickles it is then!” No. Mayo. Gross. Get it away from me. So I’ve always been looking for barbeque-type sides and salads that aren’t quite as lame as just lettuce, but also aren’t as (bleck!) mayo-infused as potato salad. 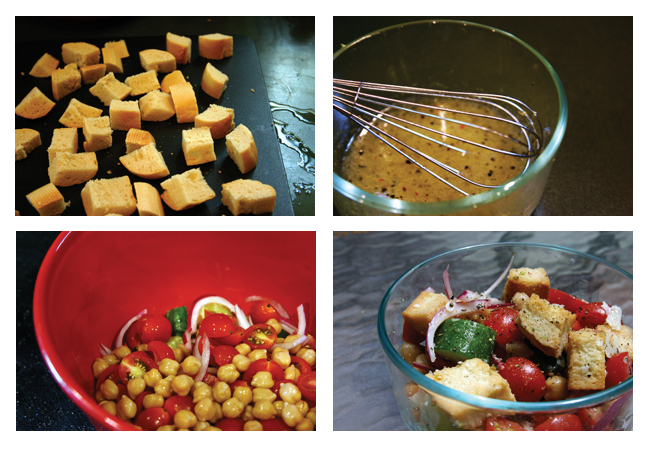 This is where summer panzanella comes in. 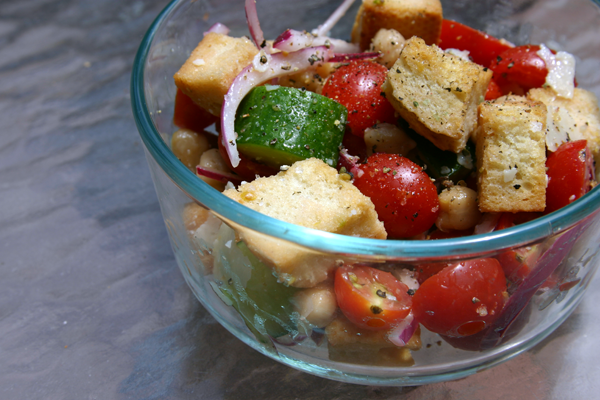 Panzanella is an Italian bread salad that is often referred to as a “leftover salad” because you can pretty much throw in anything that you want to use up. Traditionally, it’s mostly composed of toasted hunks of bread, tomatoes, olive oil, and other assorted vegetables. You can mix and match according to what you have lying around in your fridge. Here’s a question: what is the ratio of bread to vegetables that determines a salad’s status as a panzanella vs. chopped salad with croutons? I may have crossed that boundary. Feel free to use more or less bread based on your preference. Preheat oven to 400° and arrange bread cubes on a rimmed baking sheet. 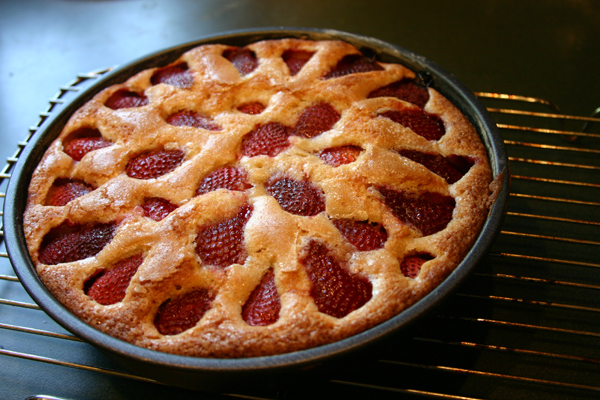 Bake until lightly browned (approx 15 min). Whisk together lemon juice, zest, olive oli, and salt and pepper. Toss vegetables and beans together in a large bowl and pour lemon and oil mixture over. Stir together and let sit to allow tomatoes to release their juices. Stir in bread cubes and parmesan cheese. Leave in the refrigerator at least 3 hours, but preferably overnight.